It’s important to point out however, that while there is no generally accepted definition of what constitutes a tax haven, some of the criteria that make such places attractive extend far beyond tax. So while many definitions refer to those countries or jurisdictions that have a relatively low-tax or no-tax regime or which offer generous tax incentives; others may refer to a state, country, or territory which maintains a system of financial secrecy. Secrecy that enables (foreign) individuals to conceal assets, or income in order to avoid, evade, or mitigate taxes in the home jurisdiction. As a result of the sometimes complex interplay between secrecy and lowering tax liabilities, many discussions would make use of the term "secrecy jurisdictions" as an alternative to "tax havens," to emphasise the secrecy element. Traditionally, Switzerland was the undisputed world leader in tax havens or secrecy jurisdictions. Then in 2007, the U.S. Justice Department began a criminal investigation into UBS and, later, other Swiss banks for selling private banking services to wealthy Americans that allowed them to evade taxes. Later, UBS paid $780 million to settle the case. More importantly, it agreed to lift the veil of Swiss bank secrecy and disclose the names of 4,450 American clients to the Internal Revenue Service. About the same time, European tax officials began gaining possession of discs stolen from Swiss banks that held data on thousands of clients, and a strengthened European Union directive required banks to withhold a minimum level of tax even on secret accounts. The 2008 financial crisis led to a huge shift in public opinion. Suddenly, tax or secrecy havens were painted by the mainstream media as “bad.” The Foreign Account Tax Compliance Act (FATCA) was drafted in 2009. In 2010, the U.S. passed FATCA and began signing intergovernmental agreements (or IGAs) with (as of the time of writing) 113 jurisdictions. FATCA is not a tax. Each of these jurisdictions have waived their local bank secrecy laws and agreed to share account holder information with the U.S.A. Given the success in FATCA in combating secrecy and tax evasion, the OECD has now implemented the Common Reporting Standard (or CRS). The CRS is essentially FATCA on steroids. So far, nearly 100 countries have signed up and the first group of early adopters (mainly the Europeans) went live earlier this year (2017). Again, CRS is not a tax. These jurisdictions have just agreed to automatically exchange account holder information with each other. What is conspicuous is that the U.S.A. is not yet a party to CRS. In early March 2017, the European Parliament released a reported entitled “EU-US trade and investment relations: Effects on tax evasion, money laundering and tax transparency - Ex-Post Impact Assessment.” The report is couched in diplomatic niceties but it is critical of the U.S. The report underlines that the U.S., unlike “virtually all of the other developed counties in the world,” hasn’t agreed to implement the OECD’s common reporting standard for the automatic exchange of bank and tax data between tax authorities. Highlighting Delaware, the report said that the “small East Coast state ranks first in importance” in the U.S., by a wide margin, and “also serves as one of the favored places” for real estate funds. “Delaware’s advanced business statutes make it an attractive place for global investors,” the report added. “U.S. international tax rules are disharmonious with the rest of the world,” the report said. So what does this all mean? It means that for non-US exposed individuals, the US offers a level of privacy that other jurisdictions may not be able to offer. Furthermore, a quick look at both the House GOP and the Trump Tax Plan shows overlap particularly in the area of tax cuts. President Trump wants to cut corporate tax to 15% which is lower than both Singapore and Hong Kong. If this happens, the US would be in that sweet spot where secrecy intersects with a low tax environment. Already, there are many reports of everyone from London lawyers to Swiss trust companies getting in on the action. Professional service providers are rushing to help High Net Worth clients move accounts from places like the Bahamas and the British Virgin Islands to Nevada, Wyoming, and South Dakota. Now compare the situation in the US with that of Singapore. Singapore has embraced both FATCA and CRS. Also the 1MDB case has led to reviews on an unprecedented scale. Yes, U.S. officials are probing Goldman Sachs. 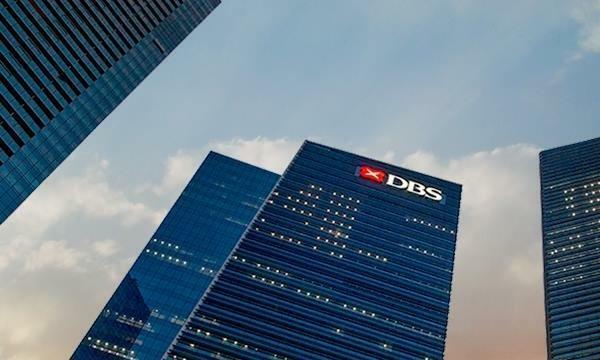 But Singapore has already withdrawn the licences of two banks–BSI Bank and Falcon Bank–and fined another eight banks S$29.1 million. These included BSI, Falcon, DBS Bank, UBS, Standard Chartered Bank, Coutts, Credit Suisse, and UOB. Singapore's M.A.S. has also strengthened AML surveillance, issued prohibition orders against four former employees of financial institutions and jailed one. While Singapore may be a low tax jurisdiction, it is certainly taking a stance against secret and illicit flows. Time for those tax haven rankings to reflect these changes and recognize what is happening in Singapore. Derren is an Enrolled Agent who is admitted to practice before the IRS; and is an associate member of the American Institute of CPAs. He manages the U.S. Tax Desk of a regional Accounting Network with over 25 offices in 10 Asian countries. Derren holds 2 Masters degrees in Economics and a Certified Diploma from ACCA. A 30-year veteran of emerging markets, James S. Kallman is the Senior Partner of global accounting and consulting firm, Moores Rowland Indonesia. James is regularly quoted in local and international media.